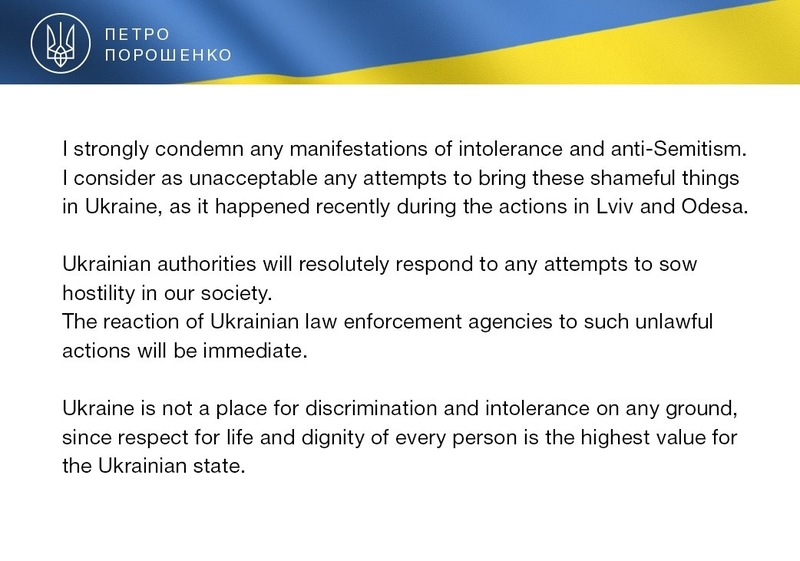 WASHINGTON, DC, May 4, 2018 - NCSEJ welcomes Ukrainian President Petro Poroshenko's statement on recent anti-Semitic incidents in Ukraine and looks forward to the government implementing concrete steps to confront this issue on a national level. This week, NCSEJ addressed two anti-Semitic incidents in Ukraine: a march to commemorate the Nazi-affiliated Galicia Battalion in Lviv and anti-Semitic remarks at a public demonstration in Odesa. NCSEJ will continue to work with the government of Ukraine on combating anti-Semitism and intolerance.